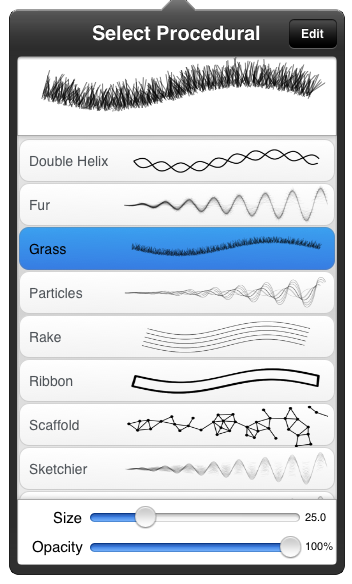 The Procedural tool let's you draw with a variety of different procedural algorithms. Each has different behaviors you can customize but in general they modify your stroke or add additional strokes and shading as you draw. Procedural comes with a bunch of presets and you can tap and hold to reset or duplicate presets just like with the Pen tool.